And after giving away CS6 Master Collection last month, we’re now offering Adobe’s most popular and top-selling suite, CS6 Design and Web Premium! If you’re our lucky winner you will be shipped a brand new box with the full commercial English version for either Windows or Mac. This perma­nent collection is the evolution of both the Design Premium and Web Premium lines, which have been combined in CS6. This product sells for $1,899 / €1,837 / £1,509 and contains over $4,000 in individual tools, including the popular Photoshop Extended, Dreamweaver, Illustrator, InDesign, Acrobat X Pro, Flash Professional, among others… (see the complete list of applications it contains) If you want to try it out first and install it on your computer, that’s easy as the free trial is available for download for both Windows and Mac OS. That’s it! Each of these actions counts as a single entry into the drawing – so if you do all four, you would receive 4 different chances to win the CS6 Premium Suite. Be sure your email is correct so that we can contact you. One entry per reader for each method, but please do share and tell your friends and colleagues who would like the software as well. Submissions are open until 11:59pm EDT on Friday, June 29th July 6th, 2012. The winner will be drawn at random from all valid entries, and contacted via email – and we’ll announce the lucky recipient (first name only) right here the following week. 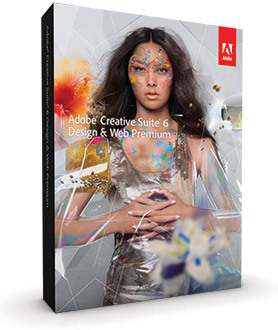 If you’re the one, we’ll ship you a shiny new box of Adobe CS6 Design & Web Premium suite, for free! Contest is open to legal residents of USA, Canada, Mexico, Europe, United Kingdom, Australia, New Zealand, and South Africa, with up to four entries per person as outlined above. The sweepstakes winner will be determined at random from all valid entries. The participant whose name is drawn must respond to email notification within 72 hours after sending. By entering, all entrants agree to release ProDesignTools.com (the Sponsor), and its employees from all liability and claims relating to participation in the contest. Sponsor is not responsible for any late, lost, or misdirected commu­nications due to spam, technological, network, or email filtering issues. No substitu­tions or transfer of prizes or cash redemptions permitted by winner. Sponsor reserves the right, in its sole discre­tion, to cancel, suspend or alter the rules and parameters of the sweepstakes. Sponsor also reserves the right to substitute a prize or prizes as Sponsor deems suitable in the event that prize becomes unavailable for any reason. All federal, state and local taxes, as well as any customs duties, other taxes, fees and/or sur­charges will be the sole responsibility of the prize winner. Any winner under the age of 18 (as of winner announcement date) must have their parents’ and/or legal guardians’ consent to accept prize. By acceptance of prize, the winner agrees to release ProDesignTools.com from any and all liability claims or actions of any kind whatsoever for damages. Offer void where prohibited, regu­lated or restricted by law in a manner inconsistent with the purposes and rules hereof. This promotion is in no way associated or connected with Facebook or Twitter. So many good things like the all-new crop tool in Photoshop. I love the new 2D and 3D animations with the Adobe Mercury Performance System, the tighter integration with After Effects, and customizable user interface. any news about who won? Our lucky reader drawn is Toni Moore from Florida! A huge congratula­tions to Toni, a rising digital artist who will be receiving a brand new boxed copy of CS6 Design & Web Premium. 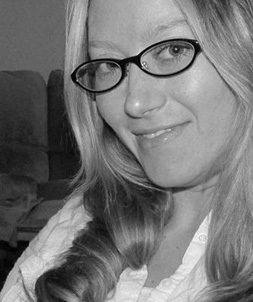 Toni plans to use Creative Suite 6 to follow her career dream of creating vector portraits. Thank you all once again for being part of our 15th contest, and if you didn’t win this time don’t worry – stay tuned for another one soon! My favourite new tool is the content aware move tool .. awesome! Content aware move is jaw dropping!! I also like the new stroke features in Illustrator. I’m pretty much new to Dreamweaver but I love the that fact that you make websites not a web page. That’s a huge difference from some of the other software out there. This product is off the hook awesome. What do I like best? IT’S ALL AWESOME….. no way to choose just one thing… LOL! Great software! Congratulations, Toni Moore. Best wishes for much success to you. Today is September 5th, 2012. It says near the top of this page that entries to win a copy of the New CS6 Design & Web Premium Suite close on July 6th. I only received the e-mail notifying me of this fantastic chance today! That’s a little unfair in my book. Sorry Jan, not sure how that could have possibly happened except to say there must have been an inexplicable delay in receiving that email… Not to worry though, we’ll be running more great Adobe software giveaways soon! I excited about the content grabber in InDesign! What Are the Differences: CS6 vs. CS5.5 vs. CS5 vs. CS4 vs. CS3? The Adobe MAX 2012 Conference… Will Be Held in 2013!